They say dog is man’s best friend, but I’m not sure the dog agrees. 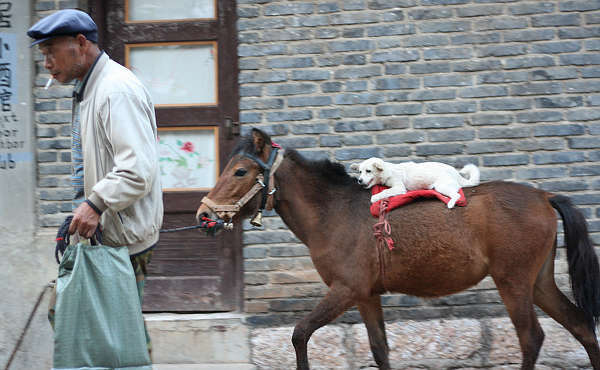 In fact it looks to me like dogs have a big soft spot for horses. Can you blame them? 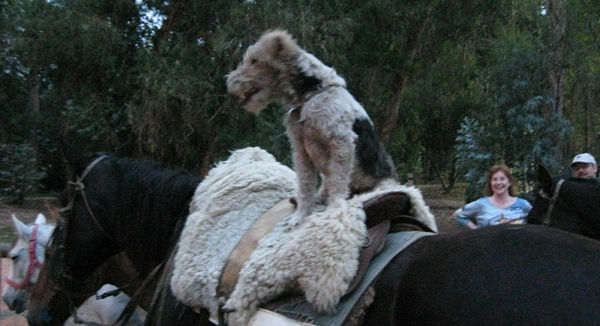 This leads me to believe that every horse should have a dog to call its very own. 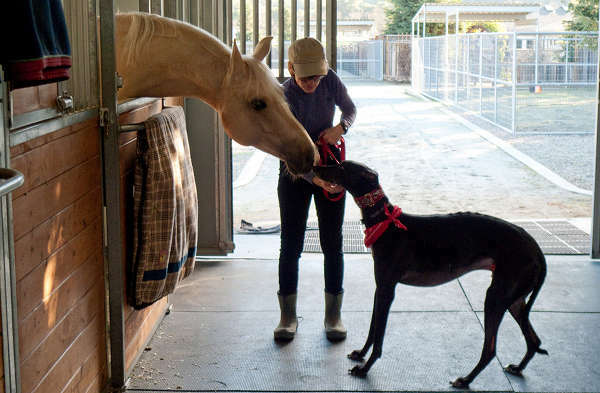 Almost makes me want to keep my dog away from horses…what if she decides she likes them better? 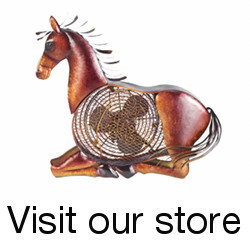 This entry was posted in Horseplay on December 11, 2008 by The Equinest. 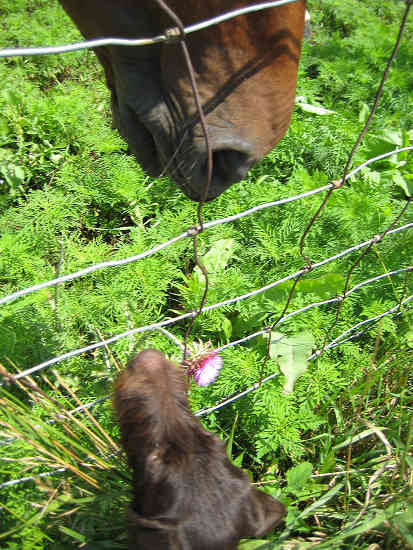 My two small dogs love to play fight and chase my two pony on the other side of the fence. 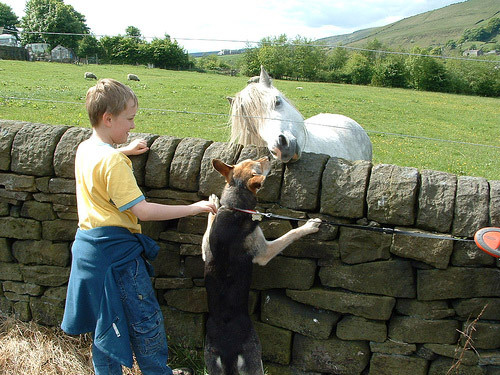 Hey the ponies always start the fuss by pawing or biting at the dogs though the fence. None one gets hurt and all enjoy it. When they tire of the play they all just rest near the fence or go back to doing whatever they were doing before the playtime. Dogs and Horses are my best friends forever..
Love your pictures of horses and dogs. Love both of these animals. I love horses and dogs. They are my life and I’d die for them. If only i had a horse i could live and care for, it would be my best friend. 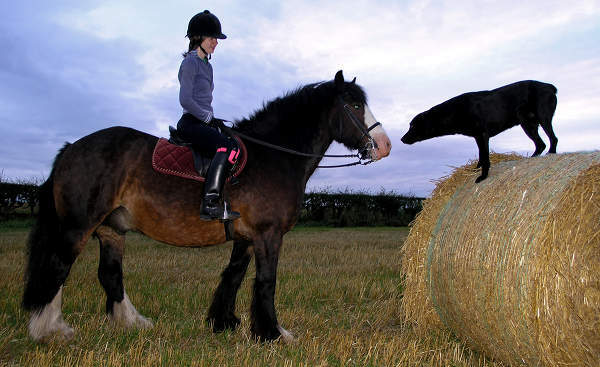 I think every horse should have a cat too! I remember seeing a photo called “Meeting of the Racers” by John Mottern with what I’m guessing is a TB and Greyhound with their noses touching. Very beautiful! HI I have a 4 yr old horse and a 8 month old dalmantion puppy and they are in love! 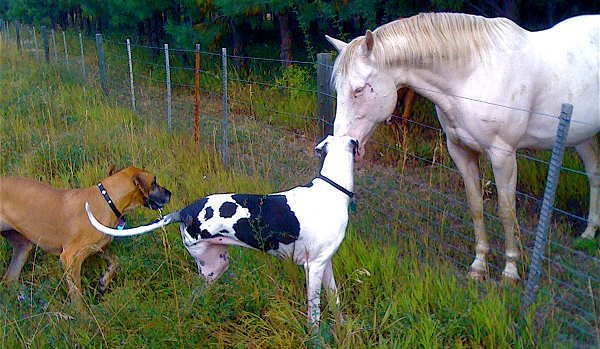 The dog sits infront of the horse while the mare licks and nibbles the dogs coat! last night I had to call the dog away after 10 minutes of being preened by the horse. I have a passion for dogs, but I love horses too. 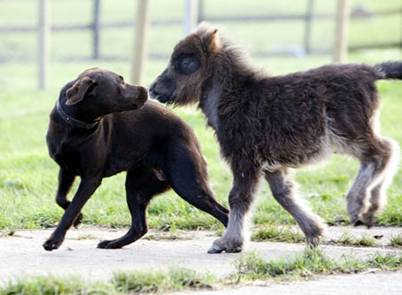 To a dog, a horse must look like a giant dog, ha. (Btw, Dalmatians are known for their natural affinity for horses, as they were originally bred to run next to or underneath horse-drawn carriages in order to protect the horse and passengers from potential threats). I disagree with this because if my dog sore a horse he would kill it. I am 22 years old and have five full grown mare horses. Each horse has picked one of my five dogs to be her very own. They play for hours. 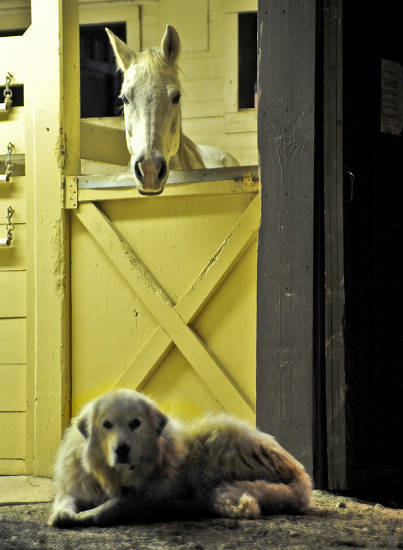 I allow the dogs to sleep inside but the refuse, and sleep in the barn with the horses.